← Logic, diagrams, or natural language for representing temporal constraints in conceptual modeling languages? 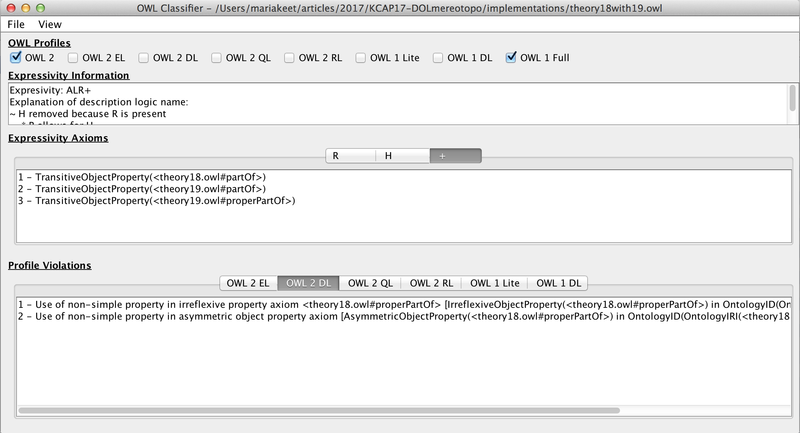 This entry was posted in Description Logics, Ontology, OWL, part-whole and tagged DOL, mereology, mereotopology, ontology engineering, OWL, OWL 2, part-whole relations, parthood. Bookmark the permalink.